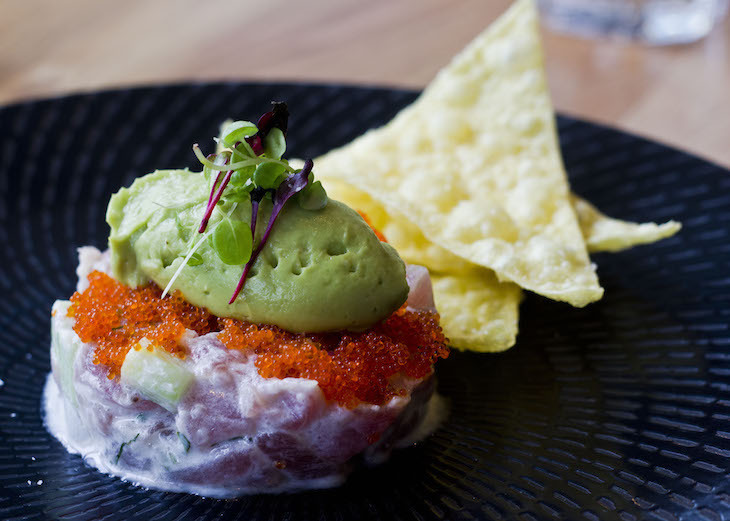 Seafood lovers won’t be disappointed with this start to their meal at Manly: Yellow fin tuna ceviche w/ avocado, coconut, lime, flying fish roe and fried wontons. We haven’t forgotten about the meat eaters. 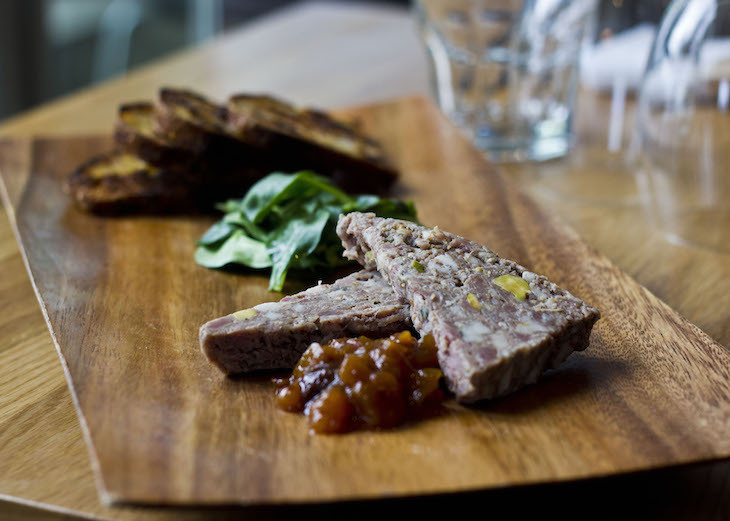 This Duck, pork and pistachio terrine w/ pear chutney, mache & raisin, walnut bread is sure to satisfy. 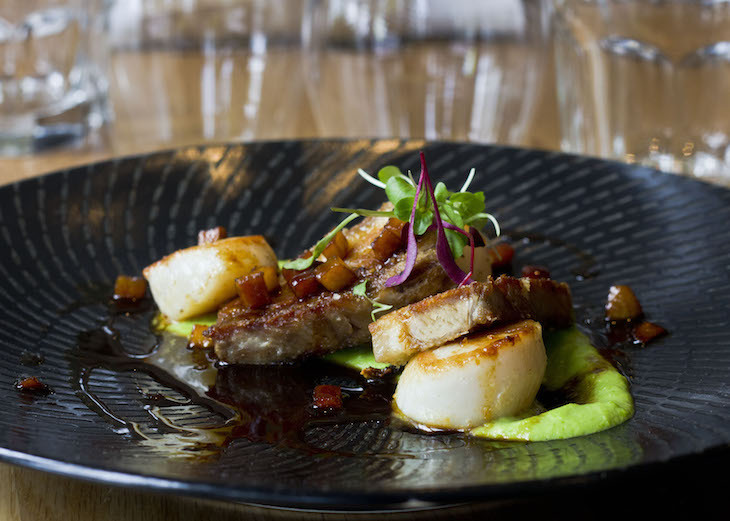 You can’t go past scallops as an entree and this Grilled scallops and pork belly w/ pea puree, roasted apple and baby cress sneaks some pork belly in for the best of both worlds. 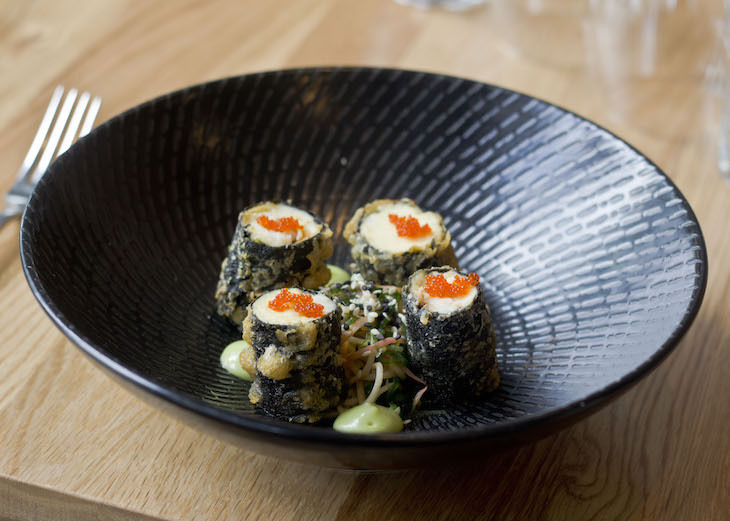 Or for a starter that’s more Asian inspired, try this Crisp fried blue eye trevella and lobster tail nori roll w/ soba noodles, wakame salad, pickled ginger and wasabi mayonnaise. Moving onto mains, this Atlantic salmon and morton bay bug ravioli w/ romesco salsa, herb and pear salad will give you your fill of seafood. In the mood for a dish with a hint of spice? 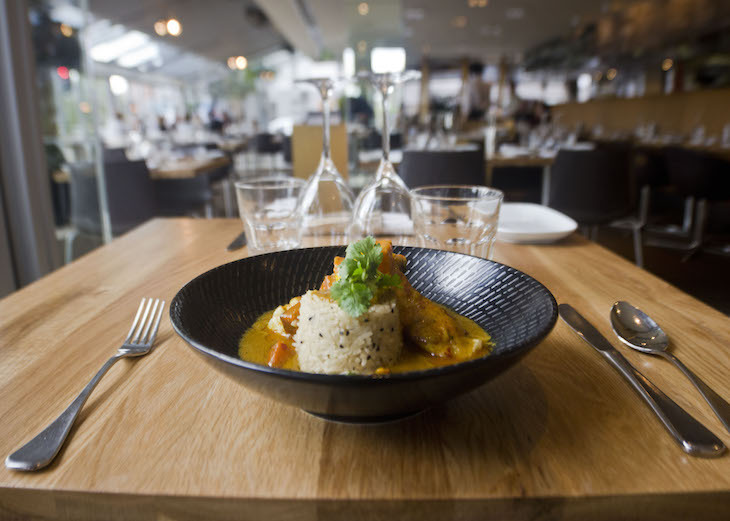 We have a feeling this Cambodian fish curry w/ roasted sweet potato, lime, pickled ginger and pilaf rice is going to be popular this Spring. The meat lovers thought we forgot about mains, didn’t you? Hardly. 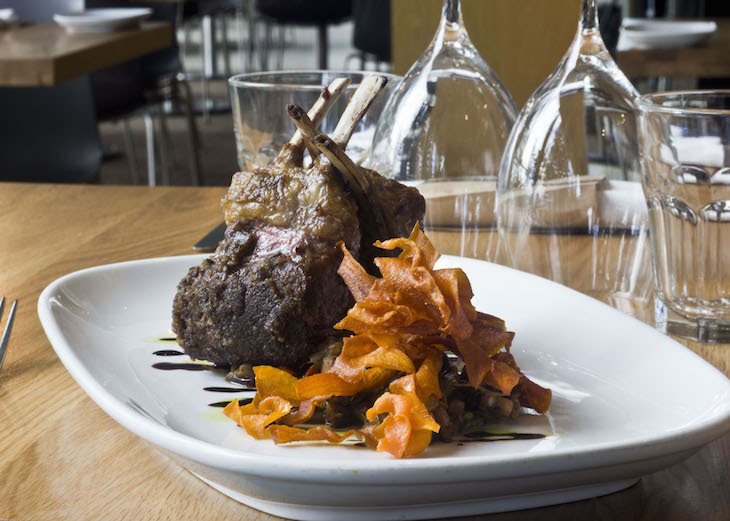 This Wood roasted black olive crusted lamb rack w/ smoked caponata and sweet potato chips has the potential to make the seafood inclined envious. 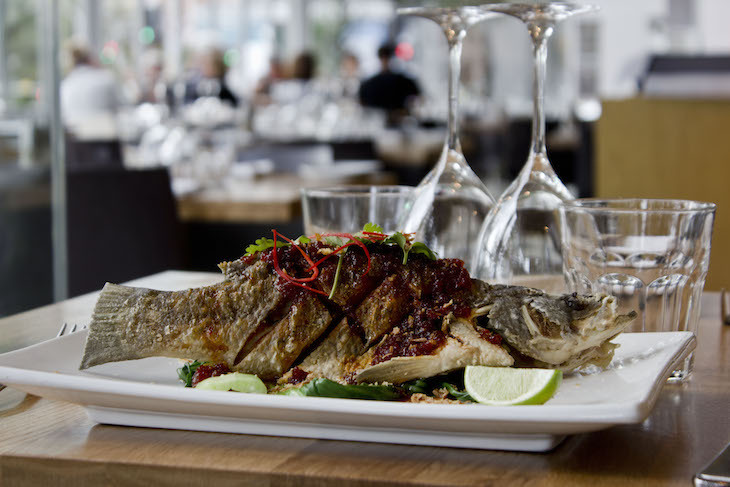 And we wouldn’t be a seafood restaurant without serving up some delectable whole fish. This Spring it’s Crisp fried whole baby barramundi w/ bok choy and three flavour sauce. 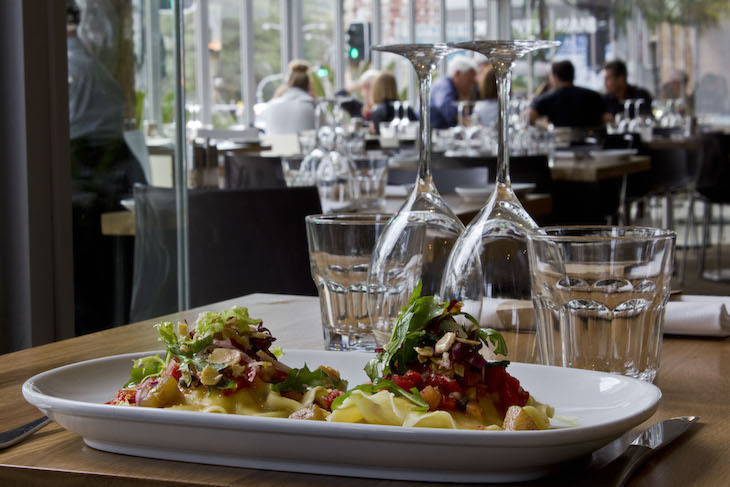 If you’re finding our Spring menu hard to resist you can click here for bookings and to view our Manly Spring menu. Or are you still hungry? You can view some pictures of Manly’s Spring desserts here.